What better way to impress possible new clients or even existing ones than granting them the gift of fine limousine travel around the beautiful city of Perth. 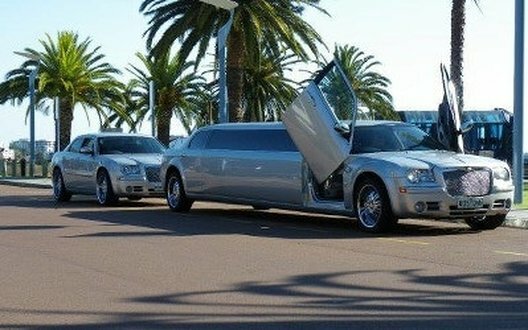 We at Perth Limo Experience understand the importance of business and even more so good quality business. Our services provide the highest standard of professionalism thanks to trained dedicated drivers. Making no expense in ensuring that quality is provided, executives, business partners and clients are guaranteed a gesture of gratifying greatness. Looking for your own secluded space or possibly arranging agenda for critical clientèle? We can openly provide you and your glamorous guests with comfort. Whether it be to multiple meetings, comprehensive conferences, company parties or functions and everything business related in between. Our limo hire provides the business man’s ticket of travel. Want to be welcomed into our inviting interior with a fresh cup of Columbian coffee, or perhaps the daily business newspaper for you to read on your journey? All you need to do is ask one of our friendly and helpful staff and they will be more than happy to fulfil your limo requests. Perhaps you would like to hire our services on a recurring basis? Lets arrange something special. Understanding that things in business can completely crazily change at any minute or moment. We are able to action accommodation the best of our ability if unexpected events arise and alterations need to be made. Its a tough world out there and things happen, we get that. Don’t stress yourself with making rearrangement plans or thinking all hope is lost. You have an executive or corporate destination to get to and get you there we shall. Treasure time of travel with us and escape from the clutches of the busy business back breaking bonds. Unwind from all that is happening in the wild world and divine in the taste of our refreshments, listen to your favourite music or stretch yourself out and feel elation in sensation. Executives and corporate bodies like yourself need a break. A limousine is the perfect way to do just that without completely stopping. Think of it as hire that puts the grind on hold. Amaze your clients and coworkers.